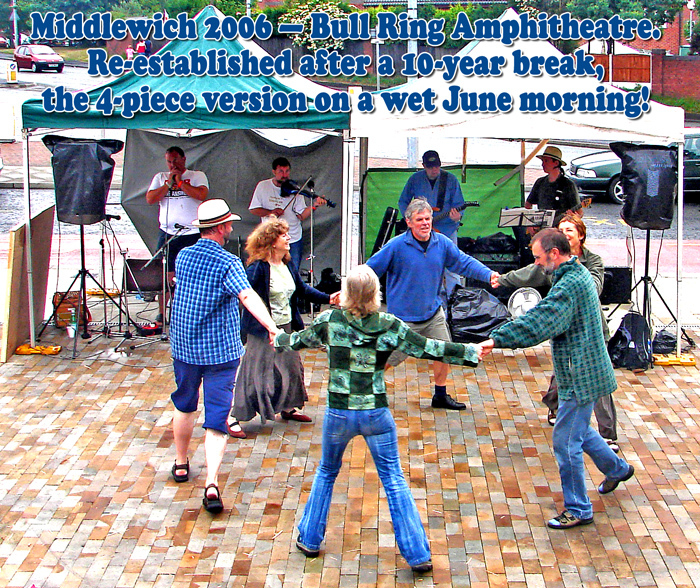 Middlewich 2006 — Bull Ring Amphitheatre. Re-established after a 10-year break, the 4-piece version on a wet June morning! Middlewich 2007 — Civic Hall. 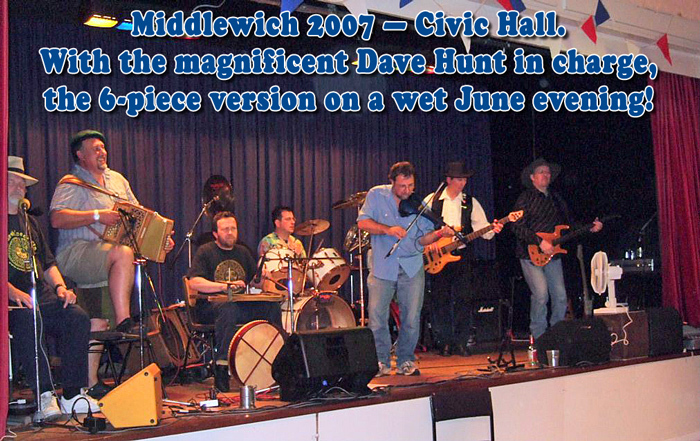 With the magnificent Dave Hunt in charge, the 6-piece version on a wet June evening!